THE GOG BLOG by RORY SPEARS, Editor and Director of Content. 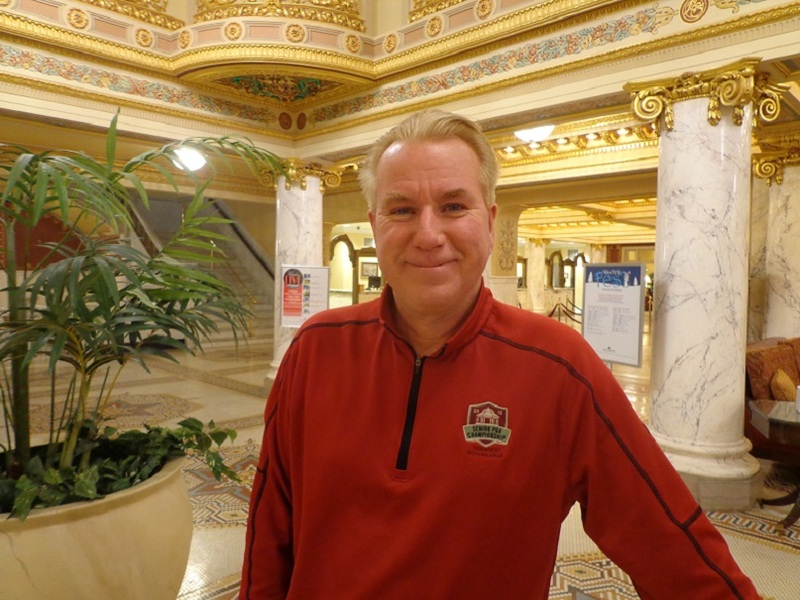 Follow Rory ot the French Lick Resort, and on Facebook, Linkedin and Twitter @GogBlogGuy. One of the most competitive area’s in golf club desing is the making of putters. While many people look to create putters in new ways, the creation of Sentio putters with it’s new style of where to put the insert has golfers taking notice. Sentio (Pron-Sen-tee-oh) putters is the idea of President and CEO Jim Varney. The first line of Sentio Putters is the Sierra 101 line, that allows golfer to fit the putter to their feel, or the type of courses that they play. Are the greens at your favorite course a little slow, then the firm Sentio-Blue insert is for you. If the greens are creeping up to 10 on the stimpmeter, then the Sentio-Red insert is your choice. If your normal choice of greens are ones that roll out, and are a double-digit number on the stimpmeter, than the Sentio-Green soft insert should be your choice. Sentio Putters President Jim Varney, holds the Sentio Soft insert putter. While many putters have a 4 degree loft, the Sentio Putters are 2 degrees, that get the ball rolling on the green even quicker. Sentio putters also comes with horizontal grooves that promote a better roll. 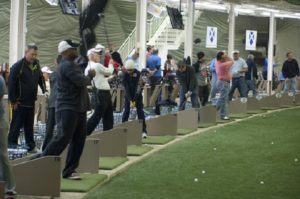 Right now Sentio Putters are made only for right handed golfers, but that could be changing soon. Shaft options are currently 33-34-35 inches long, with the outer finish in a satin silver. Click here to hear our interview with Sentio Putters President Jim Varney, who gives the insight on this new putter line and what might be coming next in the product line. For more information on Sentio Putters, rated a Top 10 selling Putter of 2016, and award winner from one golf media equipment rating service. 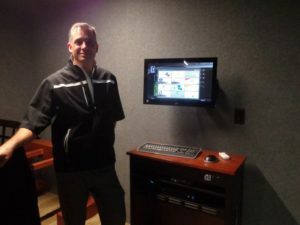 See Sentiogolf.com or email to Info@sentiogolf.com or call (978)-460-9209. 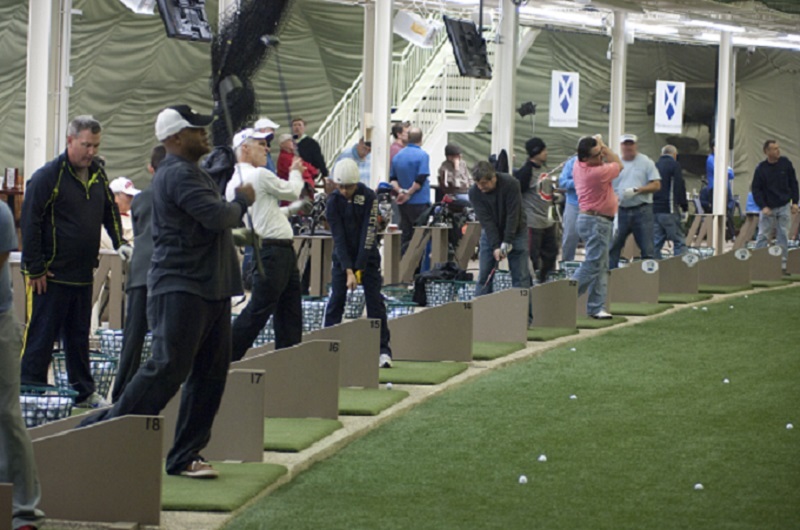 McQ’s Dome part of Mistwood Golf is your home for indoor winter golf practice. 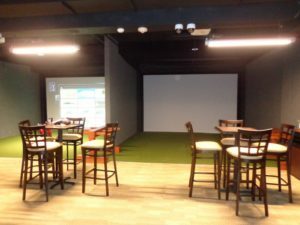 Now with a new hotdog and drink bar right beind the tee-line. Whether your working on your game, playing the horses in the OTB, enjoying the food off the new menu, or enjoying a cold beverage during the Blackhawks game, it’s time to visit mcQs (630)-739-1592.